OsteoOmegaCare has similar properties to OsteoProCare but replaces the Chondroitin (some people may be allergic to Shell Fish) with Omegas from Flaxseed. 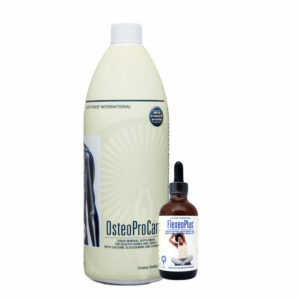 Provides support for bone and joints. 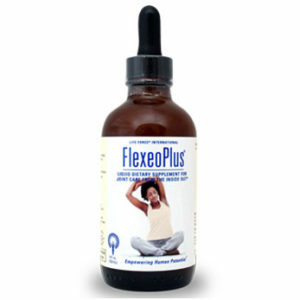 Aids in flexibility and can help increase mobility. 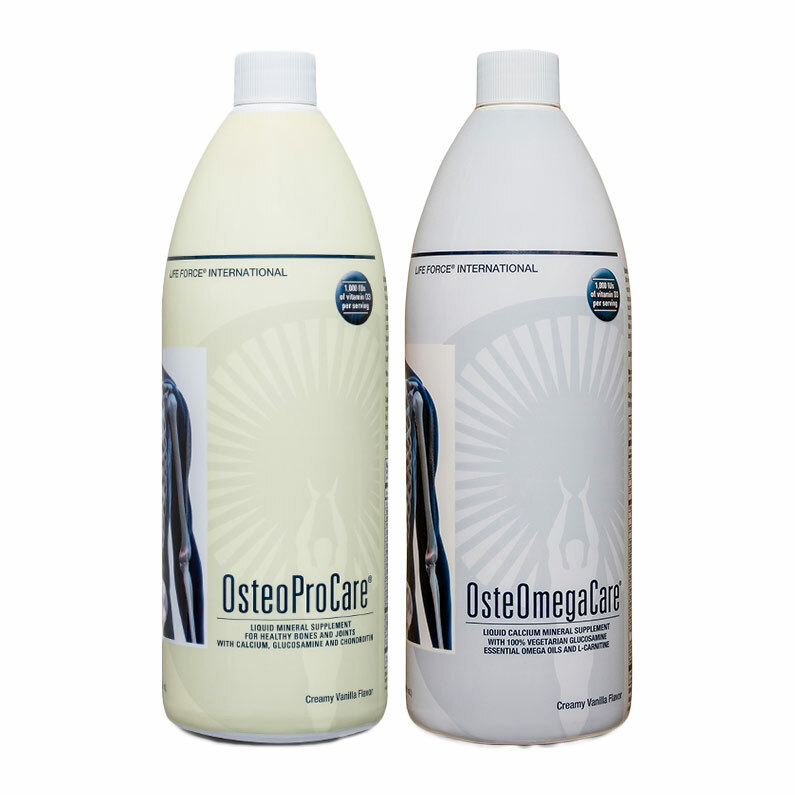 45 minerals, Glucosmine, Chondroitin utilizing Iploflavin as a carrier. 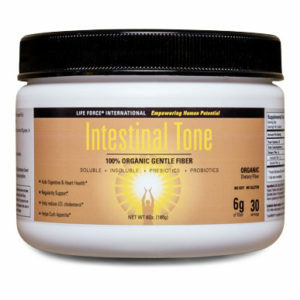 For any mineral to be beneficial, it needs a “chelate,” such as orotic acid, to carry it across cell membranes. 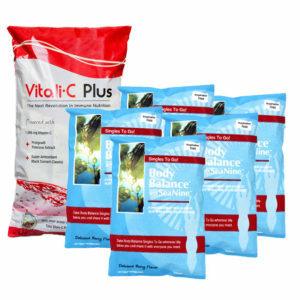 It support joint health; It maintains healthy joints; It promote joint health; It gives joint support; Glucosamine and chondroitin help support the maintenance of joint and cartilage tissue and normal joint flexibility; Glucosamine and chondroitin are two building blocks of connective tissue and are key components of the joints; Glucosamine and chondroitin are major constituents of cartilage. Glucosamine is an important building block of specialized molecules called glycosaminoglycans, found in cartilage; Chondroitin sulfate consists of repeating chains of glycosaminoglycans; Glucosamine is an amino monosaccharide that is a simple component or “building block” of larger and more complex molecules; It is important in the synthesis of glycoproteins with numerous functions in human physiology; It is important in the structure of joints in the skeleton and is found in glycosaminoglycans (GAGs) and proteoglycans, complex molecules of the cartilage matrix that form a cushioning layer at the ends of bones; It is also a constituent of hyaluronic acid, an important part of synovial fluids, including the viscous liquid in joint cavities that nourish and lubricate the cartilage in each joint. Source: “Draft Prototype Monograph on Glucosamine,” January 2003, Committee on the Framework for Evaluating the Safety of Dietary Supplements, Food and Nutrition Board, Institute of Medicine. Chondroitin sulfate consists of repeating chains of glycosaminoglycans. It is a major constituent of cartilage, providing structure, holding water and nutrients, and allowing other molecules to move through cartilage (this property is important because there is no blood supply to cartilage.